What exemplifies one cruise ship from another? What features would make you consider a cruise in the first place? As Norwegian Cruise Lines’ latest ship, Norwegian Escape gets set to start a regular roster of sailings, we look at what makes this new ship stand out in what is quite a crowded market. Every new ship brings with it an exciting mix of innovation, new features and an ever more polished experience. From dining to accommodation design (or staterooms, as they’re known on ships), through to the thrills and spills of onboard fun and evening entertainment, ships are always upping the game it seems. But Norwegian Escape is less about bringing the “latest this” or the “biggest that” to the seas. It exchanged such hyperbolic boasts for a focus on refined quality of service, but with enough changes that it still holds excitement for regular cruisers. We sailed Norwegian Escape as part of its UK launch activities and the first day aboard was a typically Southampton one – overbearingly grey and rainy, however by our second day aboard, the weather had brightened to resemble the sunny shores the ship will sail when it starts itineraries to the Caribbean. So should you sail Norwegian Cruise Lines’ latest ship? And what kind of experience can you expect to have? Here’s what we experienced on the ship including some live broadcasts we did from the ship on Periscope. Norwegian Escape is big. It can take up to 4,248 passengers. There are 1,651 crew on board and 16 passenger decks. But one of the beautiful things about it is that it has enough facilities for everyone, and with passenger foot-fall carefully planned out around the ship, and with an incredible number of venues, it never feels too busy. 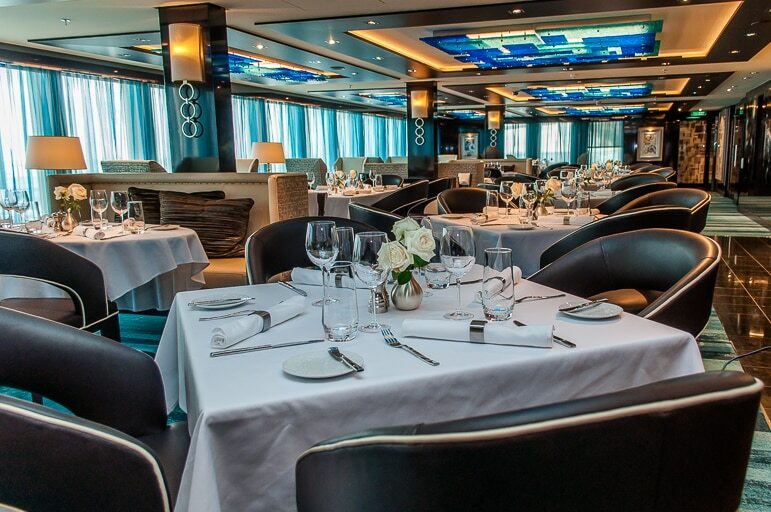 For example, it has 28 dining options, and with Norwegian’s relaxed brand of cruising, known as Freestyle, you never have to worry about being dressed up for formal dinners. And lets look again at those numbers – 4,248 passengers and 1,651 crew – that means there’s a crew member for every 2.5 passengers on board. 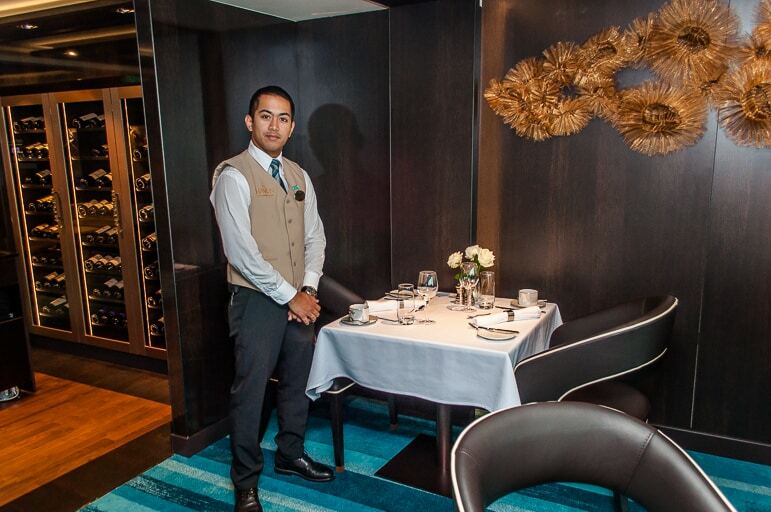 This is something that is immediately apparent on the ship, especially given that this was a new ship, where no one really knew their way around – there were staff everywhere helping you navigate the ship, or serving your meal with a smile. Service levels are very high. 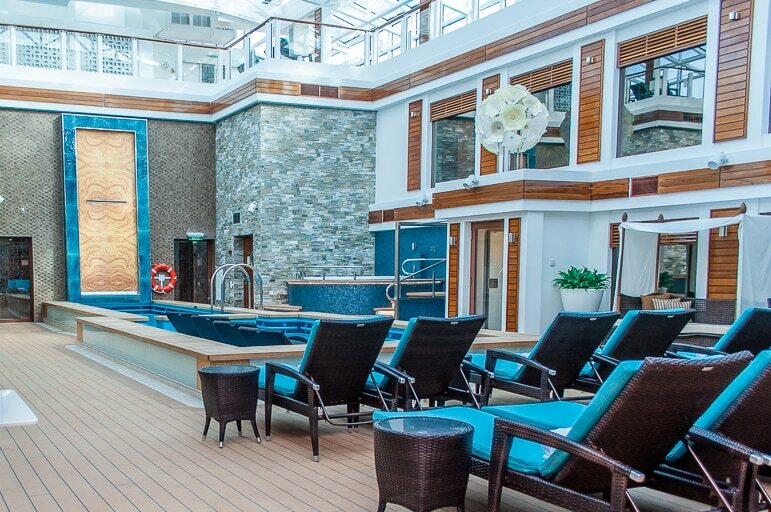 I’ve been on four Norwegian ships now – Epic, Pearl and Jade, completing the set – and one thing I liked about Escape was that it felt more refined, a more relaxed experience than some of the other ships. Jade in particular is a fun ship with dazzlingly bright decor, Pearl, a little more sedate but still a bit of an assault on the senses, while Epic – the first of Norwegian’s big ships, is a high roller of fun. Escape is fun, and bright, but a bit more grown-up, if ships can be mature. It certainly caters for all ages, with features such as the rope walk, plank, water park and kids clubs, but it also exhibits more refinement in its interiors and features. You may be on a ship, but you have to be comfortable. 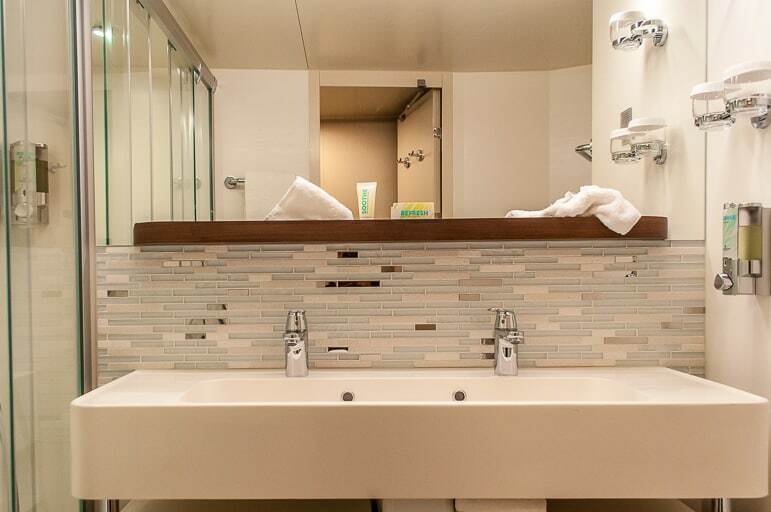 Luckily this is something the big cruise ships excel at and many of the staterooms I’ve stayed in on ships have hotel-style comfort, even if space can be limited (it is a ship after all). Onboard Norwegian Escape we had a mini-suite, with plenty of room however. 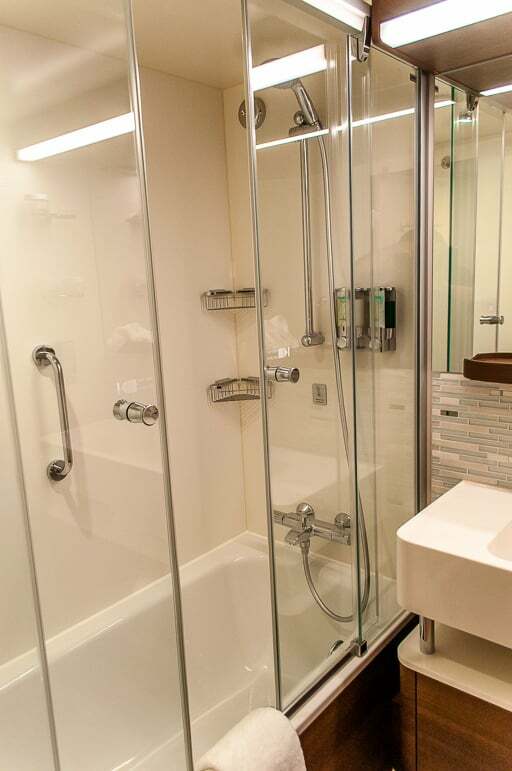 So much so there was even something I’d never seen in a staterooms before – a bath! One thing I enjoyed in the stateroom was the bed. 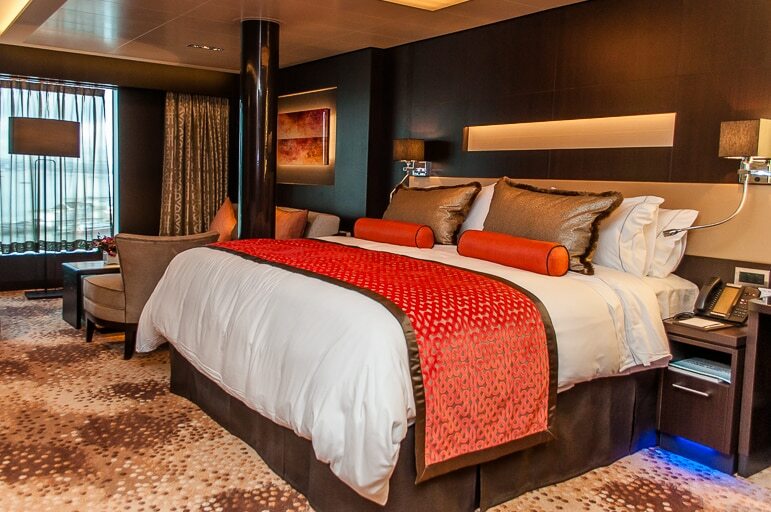 It was extremely comfortable, and full length, unlike in smaller staterooms where they are slightly curved at the bottom to allow extra inches living space. There was also a coffee machine, plenty of storage space and a balcony – perfect for enjoying a little quiet time oceanside. 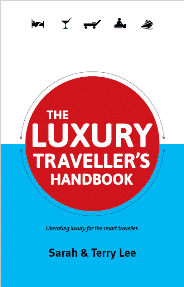 But if you’re travelling alone or want to travel in perfect luxury there are other accommodation options for every traveller. First there’s the Studios. 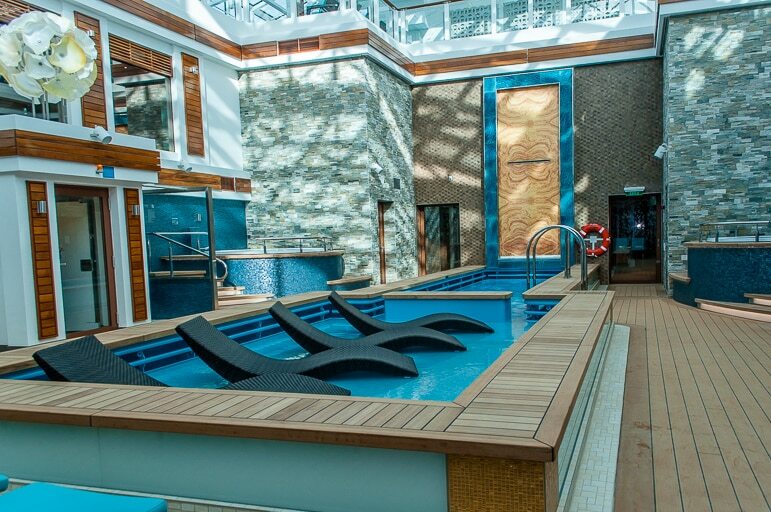 Norwegian Cruise Lines was the first to offer cabins for solo travellers on Norwegian Epic, and the Studios along with the Studio Lounge are a feature on Escape. 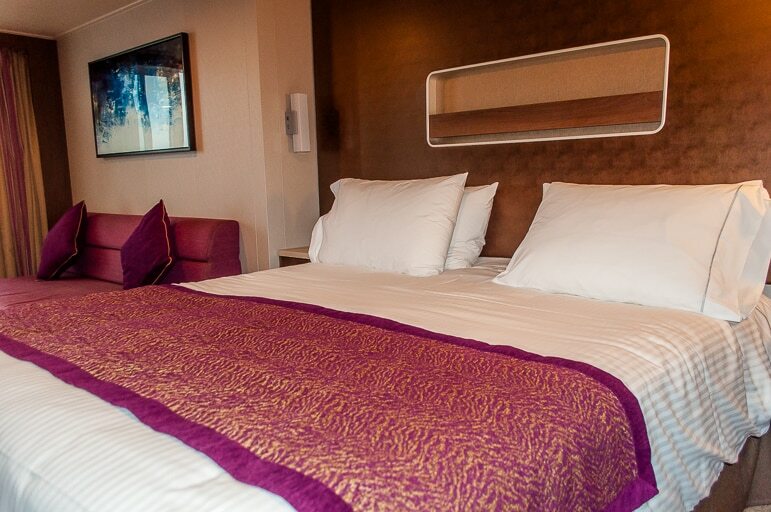 The ship’s staterooms and suites are all good quality – and we’d always recommend going for one with balcony – you’re at sea, you want to be able to see it! But if you want to enjoy the ultimate in luxury accommodation head to The Haven. Behind the key-card only doors of The Haven there are 95 suites ranging from deluxe owner’s suites to spa suites, family villas, and penthouses. 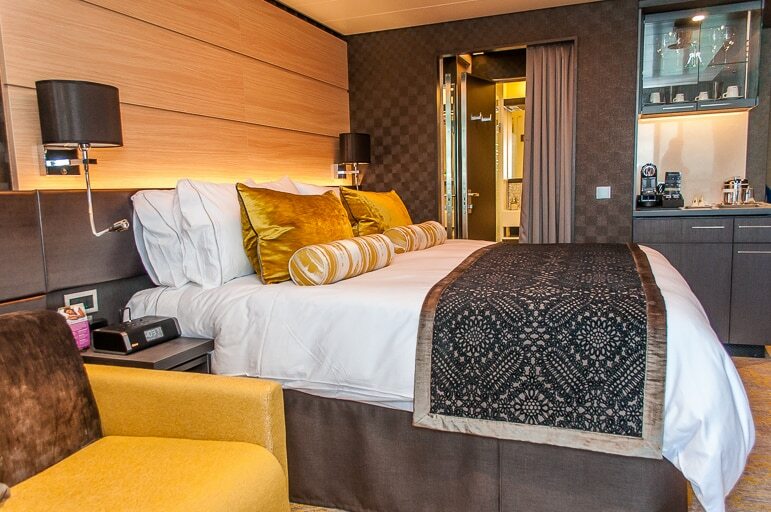 They come with exclusive benefits include priority embarkation and disembarkation, butler and concierge services, in-suite Nespresso machines; and gourmet treats delivered each evening. The Haven on decks 17 and 18 also has a private restaurant, lounge, and an exclusive courtyard area with retractable roof that features a pool, two whirlpools, sauna, spa, treatment rooms and sun-deck. It’s certainly something we’d consider for a little extra luxury and more secluded accommodation. 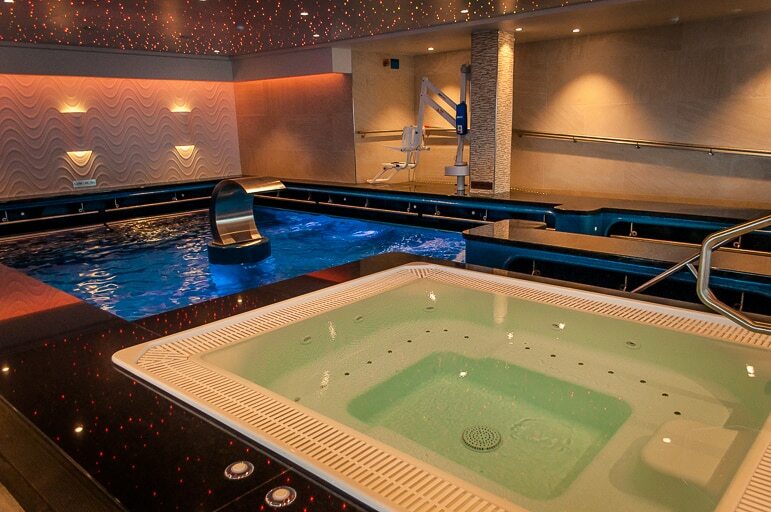 We love a good spa, so what’s not to love about a spa at sea? Especially when the thermal suite comes with a snow room – yes, really flurries of powdery snow to gently chill your pores closed after the intense heat of the sauna and steam rooms. This cool new addition to Mandara Spa stimulates blood circulation and strengthens the immune system. But the Mandara Spa naturally has a whole host of vitality-giving treats, including 50 treatments, most of which are Elemis – there’s the aroma spa seaweed massage, body treatments like exotic lime and ginger salt glow, and signature facials such as the luxurious pro-collagen quartz lift facial. There’s also a number of cosmetic and medical treatments available from a mere cut and blow dry at the salon to Botox from the medi-spa doctor. 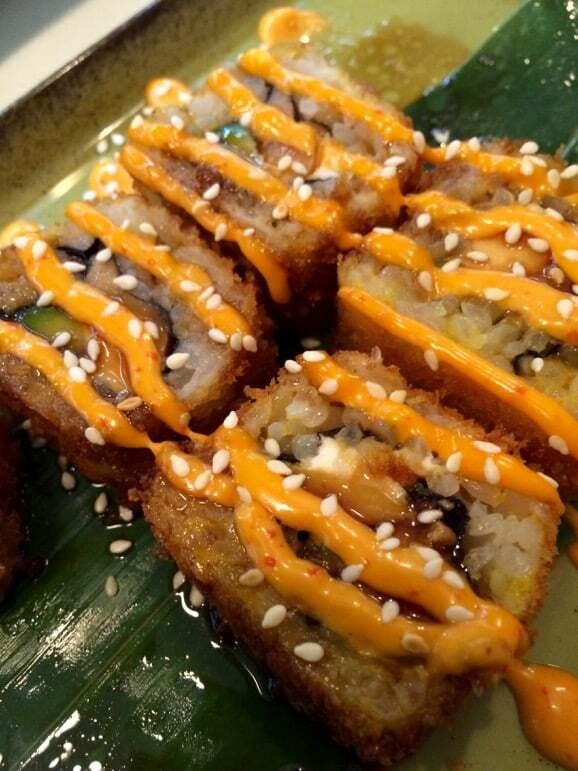 Love Asian food? 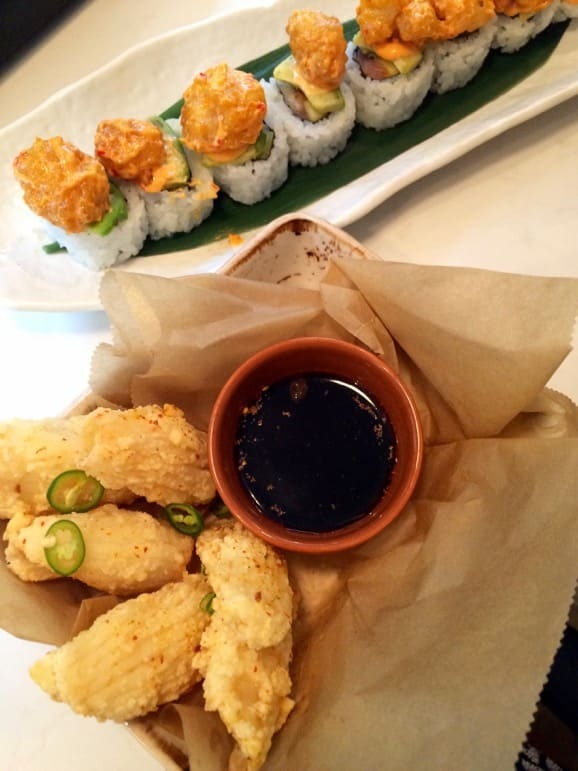 Fancy tapas? Want a well-cooked steak? Norwegian Escape has a restaurant for every epicurean desire. Norwegian Cruise Lines has long focused on delivering a huge variety of foods from around the world on their ships. But with Escape, it feels like they’ve gone one better. Along with old favourites like Cagney’s Steakhouse and French restaurant, Le Bistro (which I’ve long been a fan of), there are a host of new restaurants. 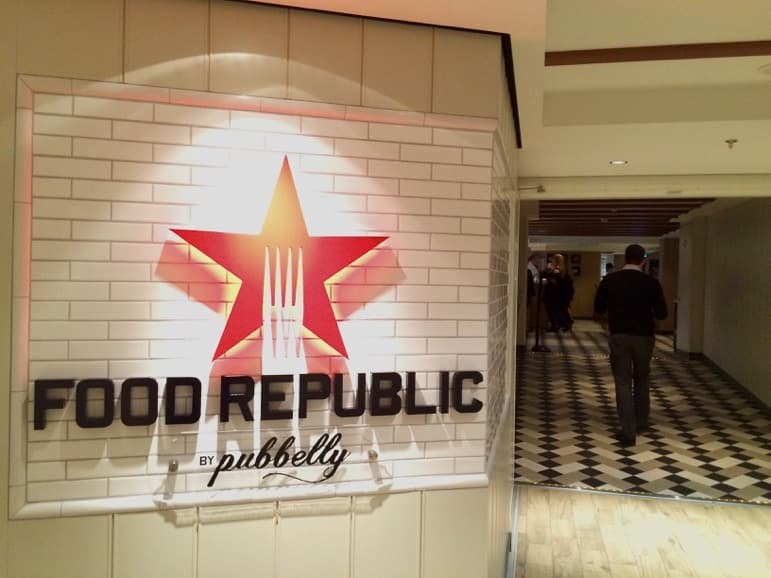 With 28 restaurants there were far too many to sample in a two night cruise, but one we did visit, Food Republic has fast become my favourite restaurant at sea, in fact – one of my favourites anywhere. 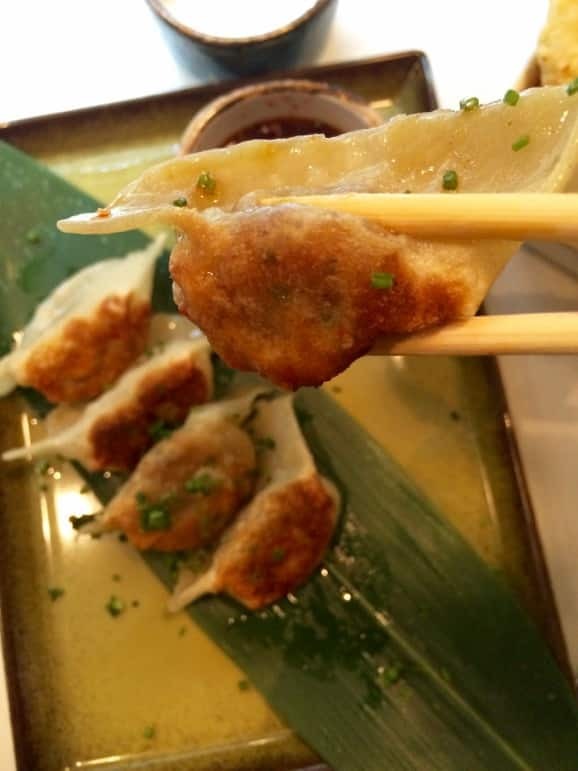 A fusion of South American, Chinese and Japanese flavours are served up on small plates. 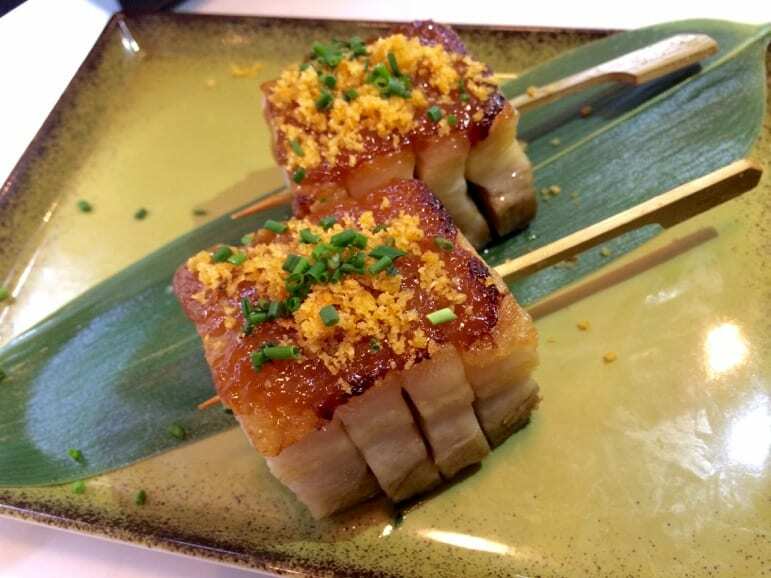 We had an incredible array of dishes from rock shrimp sushi rolls, kimchee fried rice to delectable pork belly. The food was fantastic, and the atmosphere lively. 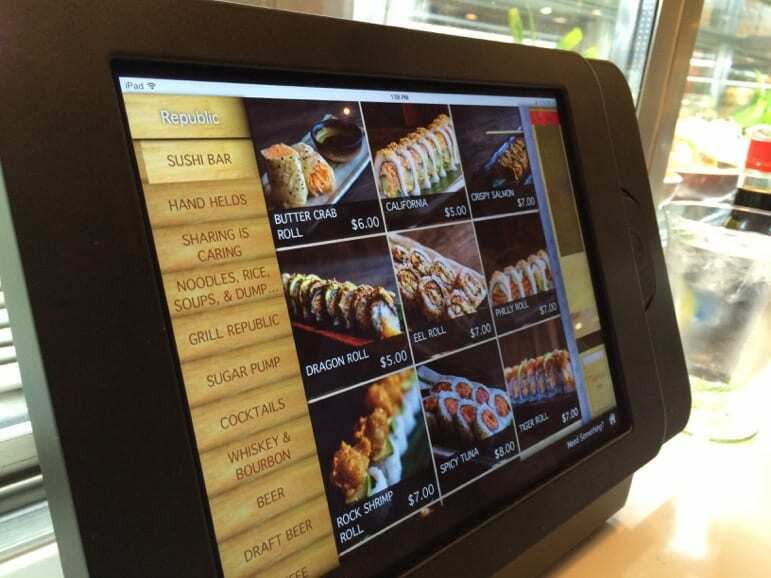 It was also fun ordering dishes from the restaurants’ iPads. 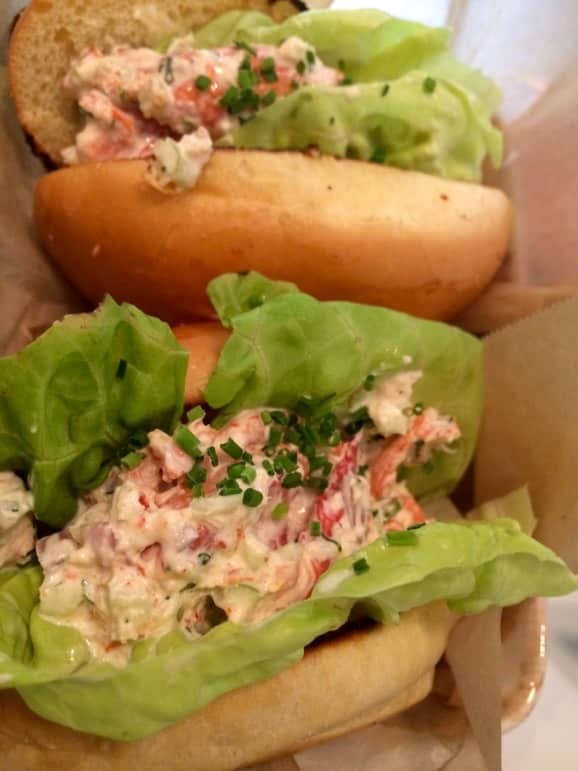 Other restaurants we would have loved to try with a bit more time – Bayamo and Pinchos, both by Ecuadorian-American chef Jose Garces, bringing Latin-inspired seafood dishes and Spanish tapas to the mix. 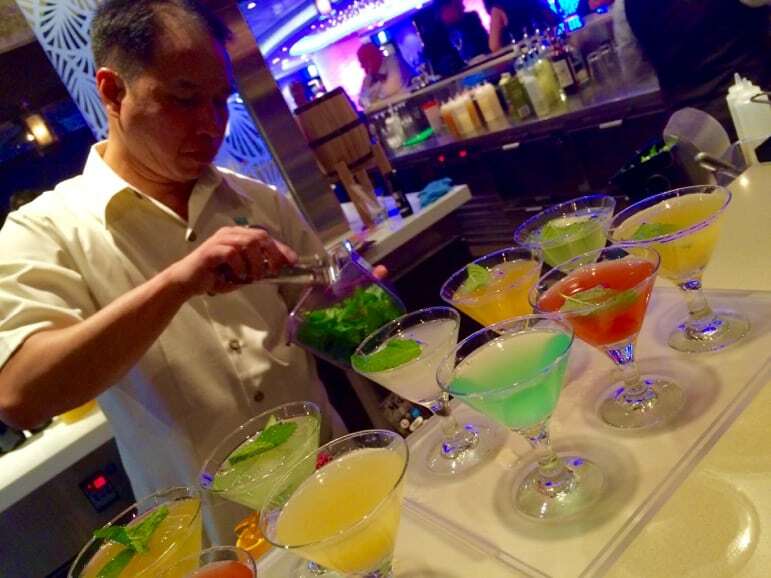 Norwegian Cruise Lines has also long had countless bars on board, but with Escape it has exceeded itself once more. You can have 98 different cocktails on board. Different bars serve different cocktails, so choose your favourite drink/venue from Jimmy Buffett’s Margaritaville at Sea to 5 O’Clock Somewhere, Miami favourite Tobacco Road and Sugarcane Mojito Bar. 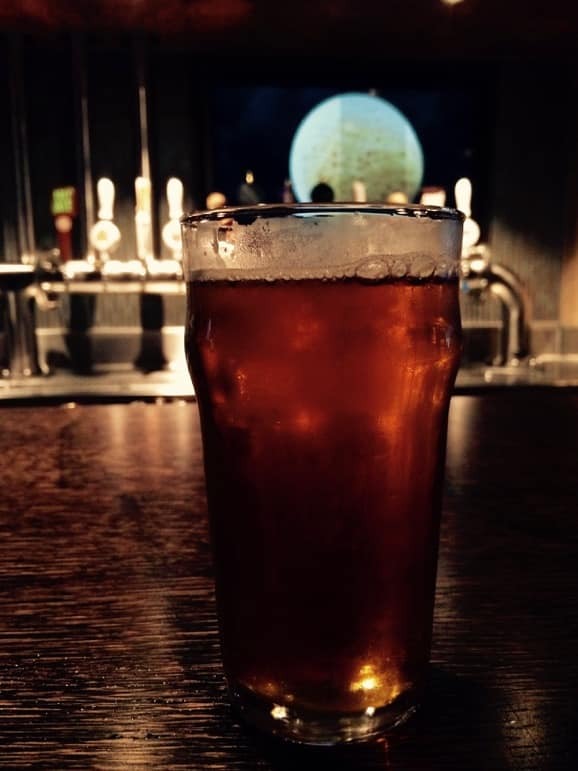 Craft beer bar the District Brewhouse has 74 different types of beer on board. One thing we missed out on was giving the one of the ship’s new features a good run out. 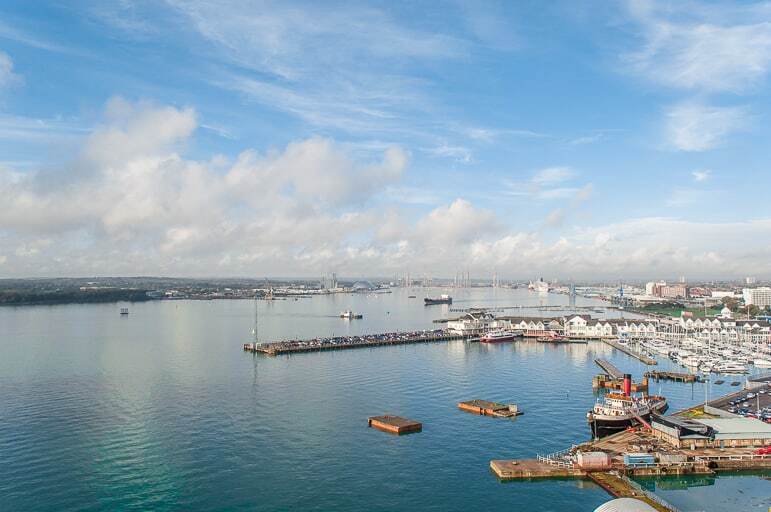 The Waterfront is a quarter of a mile wrap around promenade that allows for outdoor dining and is a great destination for enjoying sundowners (unless you’re in Southampton in October). But the ship’s main bars and restaurants on deck 8 have seating on the Waterfront allowing you to get ever closer to that Caribbean blue. There’s all manner of family entertainment on the ship – there’s the Aqua Park with more than just waterslides – it has Aqua Racer, the newest tandem waterslide at sea. Also on deck 16 there’s the Rope Course where you can harness up and fly sky-high above the ship. Added to that there are even two six-foot long planks going right out over the sea upon which the most adventurous can shout: “shiver me timbers!”. Cruise ships are famed for their evening entertainment too and Norwegian’s latest ship is bringing a host of great options with it. There’s Tony award-winning musical After Midnight, which revels in the time of the Cotton Club with the big-band songs of Duke Ellington. Then there’s Million Dollar Quartet, another Tony award-winner based on the story of a fateful night when Johnny Cash, Jerry Lee Lewis, Carl Perkins and Elvis Presley were brought together in the studio. We saw this show, and though it was fun, with some great performances, as a largely British audience we didn’t get the comedy and significance quite as well. But that’s the beauty of cruise ships – the entertainment and facilities on each are set for different audiences and, being based in Miami, Escape will serve a largely US audience. Another show we missed but wish we’d had the chance to see however was For The Record: The Brat Pack at the Supper Club. 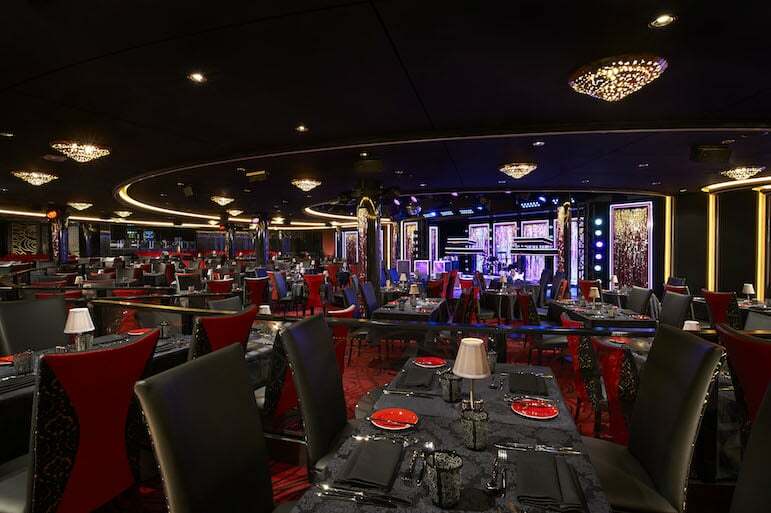 While Norwegian Epic has the fabulous Spiegel Tent with its circus-based dinner experience, Escape brings a 180-degree post-modern cabaret to the Supper Club, with a host of songs from films of the 1980s. I love the interactive nature of the Spiegel Tent and the Supper Club is a similar setting so I’m looking forward to trying that one day. Nightclubs on Escape are a little more low-key, however once the ship hits the Caribbean, Spice H2O will bound to heat up the upper deck each evening. But there are plenty of other nighttime outlets including Norwegian favourites like Howl at the Moon’s duelling pianos and Headliners Comedy Club. Cruise ships are often a destination in themselves – and with all of the above it’s no surprise. 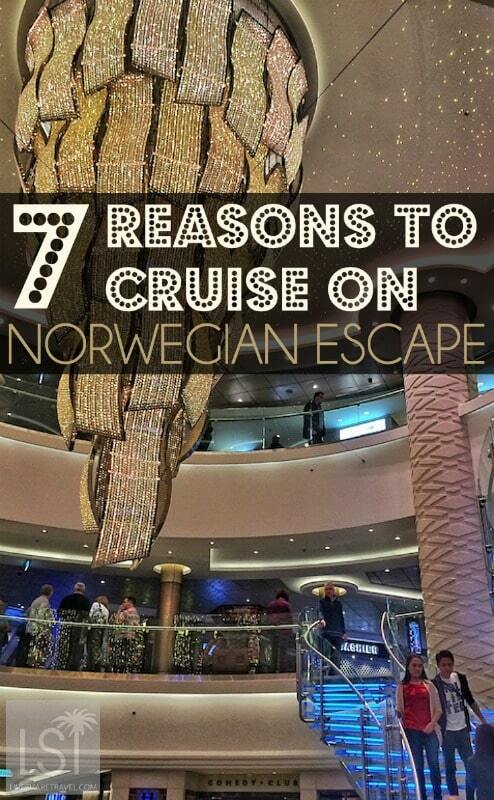 But Norwegian Escape will head to some of the world’s most dazzling shores. It will sail principally Eastern Caribbean, but also some Western Caribbean itineraries from its home port of Miami. 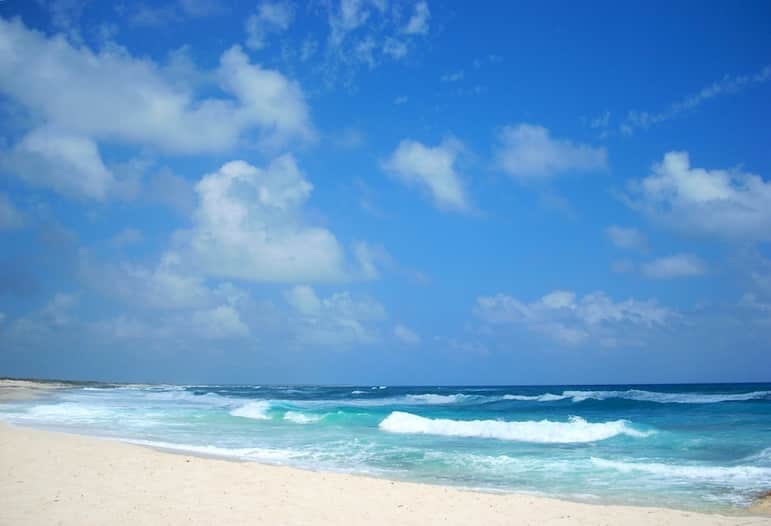 It will sail to The Bahamas, St Thomas, in the US Virgin Islands, Tortola, in the British Virgin Islands, St Maarten, Cozumel, in Mexico and more. Having experienced the ship in Europe’s less than perfect autumnal weather, we’d definitely be keen to see it in the Caribbean Sea. 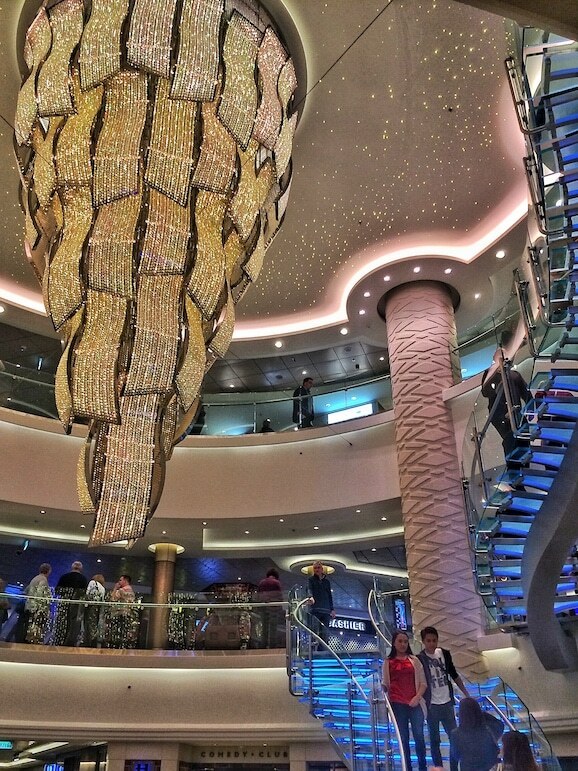 We boarded Norwegian Escape for its launch as part of a project with Captivate. All views here are, as you’d expect, all my own.